Every owner of an account of the university of Mainz may add a picture of him/herself to his account data. This picture will then be shown, for example, below any mail that you send via Microsoft Outlook. To upload your image, please log in at → https://account.uni-mainz.de using your university account login. Then click on User account. On the right of the next screen, click on Edit picture. Now you may upload an image. Depending on the size of the uploaded image, this process may take a couple of minutes. We recommend an image size of 200x200 pixels, because that size is sufficient. Please also note that you may only upload jpg-images, since other file formats are not supported.. 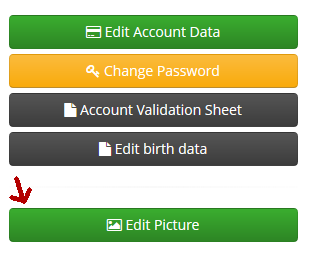 Finally click on Save and then the image will be added to your account data. In order to change your user image, please login at the URL mentioned above. Click on User account and then on Edit picture. Now you may either delete your current picture or simply upload a new picture. If you upload and save a new image file, the old image file is replaced.